While the Bali airport may be called Denpasar, it’s a bit far from the capital city that it’s named after. 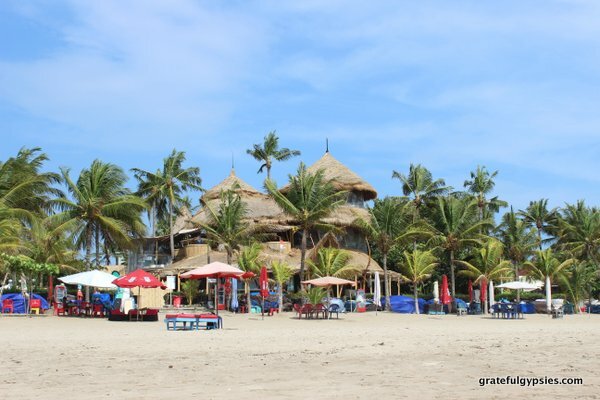 It’s actually located in Kuta, which just so happens to be the busiest and most popular area for tourists. Home to a long beach, a wide variety of shops, countless options for wining and dining, and beachside hotels that have everything you’ll need for a tropical vacation. This once sleepy fishing village is now the epicenter of tourism in Bali, which comes with its ups and downs. Beautiful Bali scenery in Legian. Moving north, the next beach up is Legian. 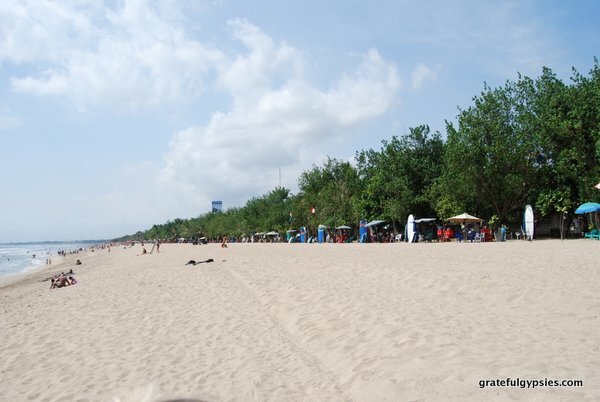 As you can easily walk here from Kuta, it should come as no surprise that the two areas are very similar. The beach is slightly quieter here, but the nightlife is just as rowdy. Along Jalan Legian, you’ll find some of Bali’s most famous spots for partying, such as the multi-level Sky Garden. You’ll also find a wide variety of accommodation here, from budget hostels to private villas and everything in between. 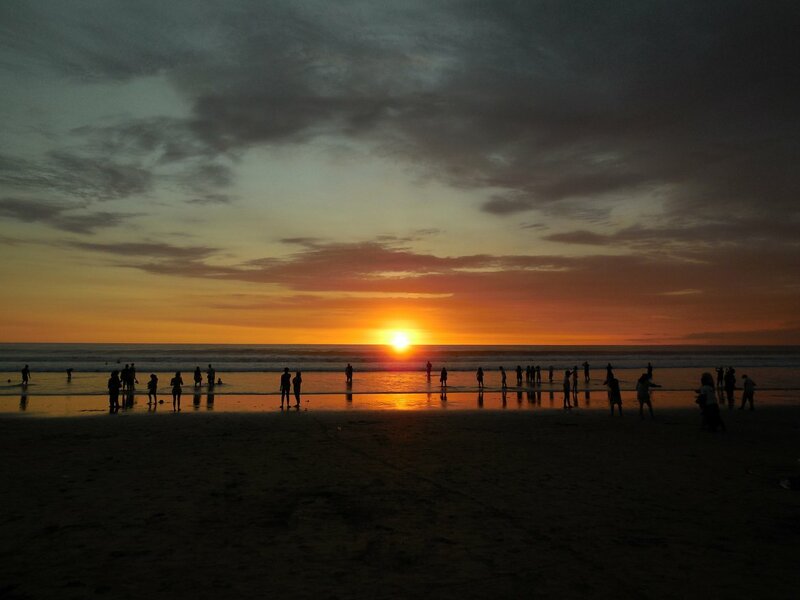 Although the distance between them isn’t much, Seminyak feels quite different from neighboring Legian and Kuta. With much more of an up-scale vibe, this area is known for its boutique shops, fancy restaurants, and trendy beachside clubs with swim-up bars, such as Ku De Ta and Potato Head. 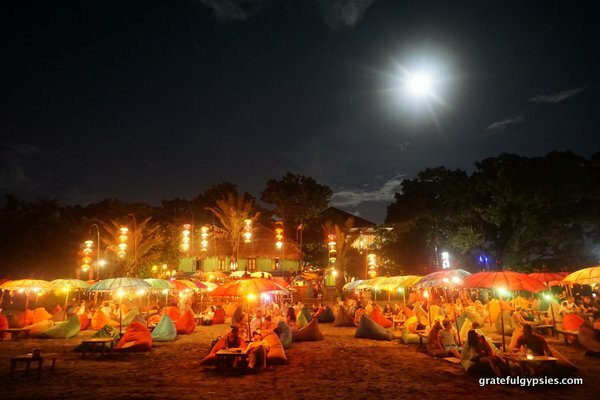 Having a sunset drink on the multi-colored bean bags of Double Six beach is one thing that every first-time visitor to Bali should include on their itinerary. Surfers waiting for their last wave of the day. 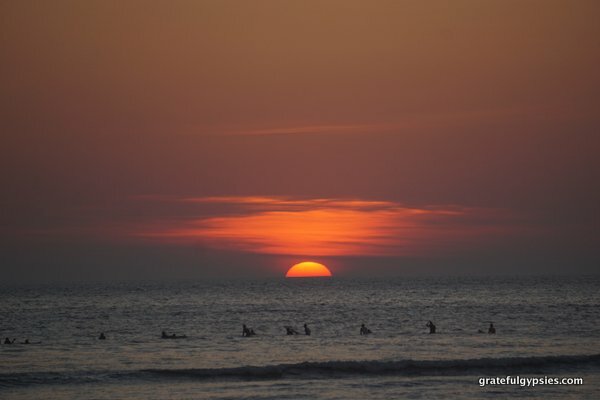 Known primarily as a surfing destination, Canggu is quickly developing into much more than that. The area has morphed from rice fields to clusters of swanky villas in the last decade, and it’s becoming a favorite for travelers seeking an alternative to the busier areas to the south. Some of the island’s coolest bars are here – such as Old Man’s and Deus – which draw huge crowds for their big party nights. Exploring Bukit and its many beaches. The peninsula south of the airport – known as Bukit (meaning “hill” in Indonesian) – offers travelers quite a few options. From the luxury hotels of Nusa Dua, to the simple surfer digs down by Uluwatu, every type of traveler can find something here. 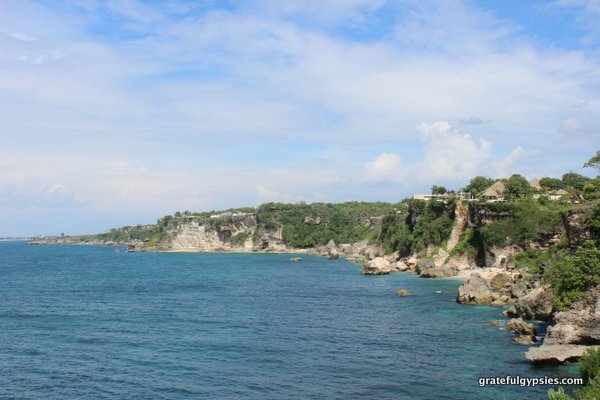 Days can be spent exploring the many secluded beaches (such as Balangan, Dreamland, and Green Bowl to name a few), and evenings dining on fresh seafood and drinking at cliffside bars with incredible views. The best part about a first-time visit to Bali is that it’s exactly that. Chances are you’ll start planning your return trip before you even board your flight home. After all, there’s still so much more to see and do on the Island of the Gods. We fell in love with Bali so much the first time that we decided to move here for a year so I could take part in the Darmasiswa program, learning Indonesian language & culture and getting paid for it. There’s so much more to Indonesia, as the country is home to over 17,000 islands. It’s true that you could spend a lifetime here and not see it all. Disclaimer: This post was written in cooperation with vaindo.com. We’ve still presented our honest assessment of South Bali, and highly encourage you to explore all it has to offer along with the other areas of the island.